My real life name is Manikandan Pattabiraman (shortly ‘Mani’) and ‘geekgardener’ is a handle I chose for myself when I started this site . 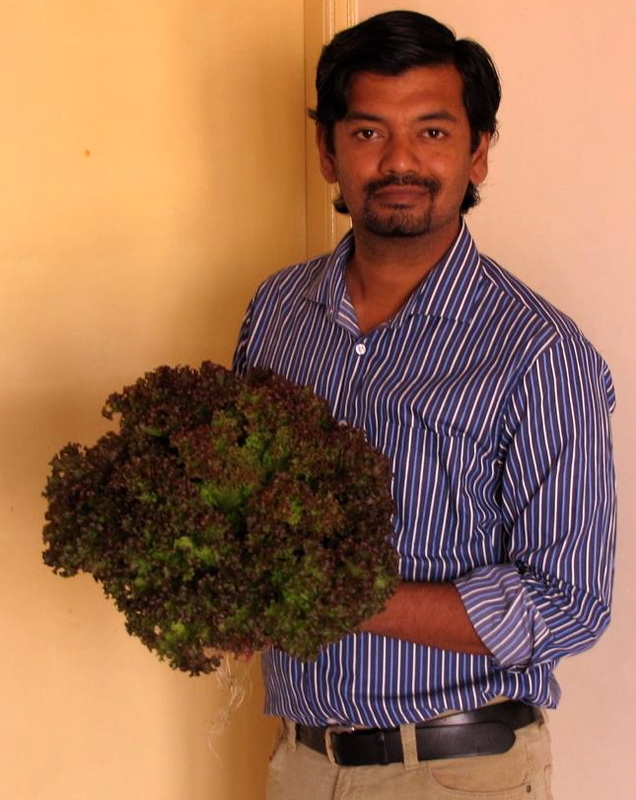 I am a self taught farmer/grower living in Bangalore, India. I started the company Geekgardener Greentech to promote Urban Vegetable Gardens and the store Garden Guru to make all the gardening material available to gardeners. Needless to say, I love growing plants and dedicate most of time doing so. I started gardening in Chennai , when I was in 3rd grade. I used to help my dad plant saplings of tomatoes, brinjal etc. Eventually it became my passion and my home was loaded with 100 odd pots growing veggies and ornamentals. Gardening took a break once I started my college and my career which involved travel. In 2008, I restarted my gardening and this time I started this blog as a result of the frustration.At that time, I could’t find any information on gardening/materials availability on the internet that was for the indian context. Most of the materials were from abroad and materials referred in them weren’t available in India. This made me start a site just for gardeners both novice and experienced. Eventually many started requesting for specific crops. I started adding more posts about vegetables that includes step by step pictures from the start to end of the crop. I also regularly conduct trainings on Kitchen Gardening/Terrace gardening in Dept of Horticulture, Bio Centre, Hulimavu. Bangalore. Occasionally I write articles for magazines. I do take training classes for apartments/corporates on request. I can be reached at admingeekgardenerin for such events. My area of expertise includes Hydroponics, Urban vegetable production, Gardening in Limited spaces and Living walls. Send me a note if you, like this site, have a suggestion, etc.